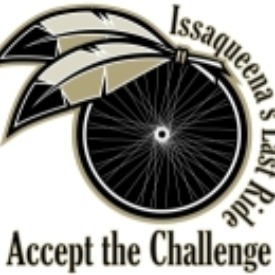 2017 will be the 19th consecutive year for Issaqueena's Last Ride! Issaqueena's Last Ride is a challenging, mountain ride through the beautiful Blue Ridge Mountains and Foothills of South Carolina. The three longer rides are highlighted by the climb to Wigington Overlook where one is rewarded with expansive views of Lake Jocassee and the surrounding Carolina Piedmont. The 30 mile ride stays in the foothills with shorter climbs. All routes feature scenic rural roads with little traffic. Registration fee includes pre-ride coffee and baked goods, post-ride meal, T-Shirt, cue sheets, SAG, and fully stocked rest stops. ILR's Race To The TOP! The first male and female riders of the metric and the first male and female riders of the 100/80 routes to reach the Wigington Overlook rest stop will receive medals. You must pre-register by April 13 to be guaranteed a tee-shirt. for registrations received after April 13. All proceeds go to local non-profit charitable organizations including Safe Harbor and the Palmetto Trail Conference. This is a middle distance ride without the difficult climbs of the three longer rides. The route follows the quiet roads north of Walhalla through Salem and the scenic Tamassee area with views of the nearby Blue Ridge Mountains. Total elevation gain is approximately 3000ft. This slightly hilly route winds it way north of Walhalla but does not include the mountain section of the longer routes. The route makes its way around Lake Cherokee before returning to Walhalla. One rest stop midway provides refreshments. Total elevation gain is ~1000 ft. Cue sheets, elevation charts and images of previous rides can be found at www.ILRSC.com. Issaqueena's Last Ride is a challenging, mountain ride through the beautiful Blue Ridge Mountains and Foothills of South Carolina. The three longer rides are highlighted by the climb to Wigington Overlook where one is rewarded with expansive views of Lake Jocassee and the surrounding Carolina Piedmont. The 50 and 30 mile rides stay in the foothills with shorter climbs. All routes feature scenic rural roads with little traffic. Registration fee includes pre-ride coffee and baked goods, post-ride meal, T-Shirt, cue sheets, SAG, and fully stocked rest stops. Ride support provided by Speed Shop Cycles in Anderson, SC. The first male and female riders of the riders of the 100and 80 miles routes to reach the Wigington Overlook rest stop will receive King and Queen of the Mountain awards.